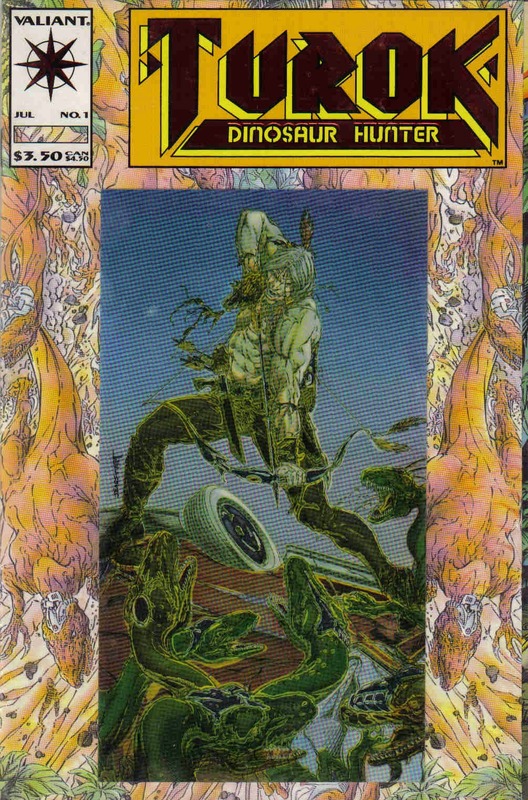 Turok Dinosaur Hunter #1, Valiant Comics, cover-dated July 1993. How many podcasters does it take to cover the most quintessnetial quarter-bin book of all time? Evidently, it takes 4 of them: Professor Alan, Ed Moore, Tom Panarese, and Paul Spataro. As a story, how does the issue hold up? Setting aside all of the hype and legend, is it any good? And does this book really deserve the reputation is has for single-handedly crashing the entire comic book industry? Listen to the episode and find out! ﻿﻿﻿﻿Next Episode: The 2015 Free Comic Book Day episode! Professor Alan & Emily spend time reviewing recent feedback, and also talk about all of the Vertigo books they have both been reading. Then they talk about the concept of the anti-hero in comic books and the rest of pop culture. They mention Dirty Harry, Sam Spade, The Punisher, The Equalizer, Deadpool, (hail) Doom, and Rorschach. And probably a few others. DOOM 2099 #1, Marvel Comics, cover-dated January 1993. Doom invites you to a retelling of his future origin. How did Doctor Doom arrive in 2099? How far has Latveria fallen in his absence? Who is that furry orange beast who claims to be running the nation? Isn't that guy too young and too unscarred to actually be Doctor Doom? And what could possibly go wrong flying in a 100-year-old airplane? Listen to the episode and find out! ﻿﻿﻿﻿Next Episode: Turok Dinosaur Hunter #1, Valiant Comics, cover-dated . Micronauts #9, Marvel Comics, cover-dated September 1979. "Home is Where the Heart Is!" by Bill Mantlo, Michael Golden and Al Milgrom. After spending the last few issues in an around Florida, the Microns are back in the Microverse for this issue. Can they stop Baron Karza's attacks? Will Prince Argon and the super-hot rebel leader Slug be able to accomplish their mission? Will our heroes ignore all good sense and split the party? And what is Acroyear doing in that secret crystal chamber? Listen to the episode and find out! ﻿﻿﻿﻿Next Episode: DOOM 2099 #1, Marvel Comics, cover-dated January 1993.